Not so long ago, it seemed like Soylent was improving the inefficient daily process of "eating" a "variety" of "meals." That time could be spent coding, people! The company's shakes and bars offer a dystopian vision of nutrition and food consumption that has achieved popularity in Silicon Valley circles, despite being named after a fictional processed food product made out of human remains. 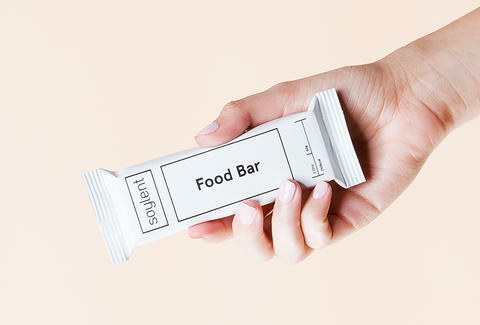 Unlike Soylent Green, though, Soylent's new snack bars give people uncontrollable diarrhea. The bars were almost too good to be true: 12.5% of your daily nutritional requirements, vegan, low-glycemic, quality macros, full of micronutrients, destroy your GI tract, and make you poop uncontrollably. Good thing you can code on the toilet! Customers took to a Reddit thread to share their Soylent-induced bodily function woes, including intense nausea, frequent vomiting, and bad cases of the runs. Comment from discussion How many here have experienced vomiting after eating a Bar?. That sounds rough. While snack bar victims continued to share in their collective misery online, the company paid attention. Soylent issued a statement on its website on October 12th to say it was pulling the bars from its store. "It has recently come to our attention that a small number of our customers have experienced gastrointestinal issues after consuming Soylent Bars," the statement reads, which is the polite way of saying people couldn't stop throwing up and having diarrhea all over the place. "As a precautionary measure, we are halting all Soylent Bar purchases and shipments and are advising our customers to discard any remaining bars in their possession." Just a company doing the right thing and making sure its customers... oh, just kidding. Last week, Soylent told Vice, "After these reports, we have retrieved remaining bars from our consumers and have personally consumed many of the remaining bars without adverse effects. We have also sent them for further microbiological testing and all tests have come back negative. Based on this we remain very confident in the safety of the bars." That's a pleasant image, a bunch of Soylent employees chowing down on their own bars, waiting to see if an onslaught of diarrhea comes. At least affected customers will be getting a full refund for their unfortunate purchases. Is it enough to make up for spending the better part of their day on the toilet? That's hard to put a price on, though someone should write an algorithm that can calculate the potential efficiencies lost. Christina Stiehl is a Health and fitness staff writer for Thrillist who is usually in a state of experiencing some kind of GI issue. Follow her on Twitter @ChristinaStiehl.